The Jury Office was notified Monday morning by a member of the public that she had been contacted Sunday by someone claiming to be a Sergeant from the Sheriff’s Office regarding a failure to appear for a trial in August. The caller told this individual to report to the courthouse that day and that a judge was there waiting for her and indicated she could be arrested if she didn’t comply. The caller appeared to know about this individual’s lack of criminal record and knew other pertinent information which made her think it might be a legitimate call. The caller also started asking for personal information such as telephone number and confirmation of address. The Courthouse is not open on Saturday or Sunday. This juror had not been assigned jury service recently according to Bonner County Jury Office records. This is not the first time the Jury Office has been contacted about such an incident. DO NOT GIVE ANY PERSONAL INFORMATION OVER THE PHONE. 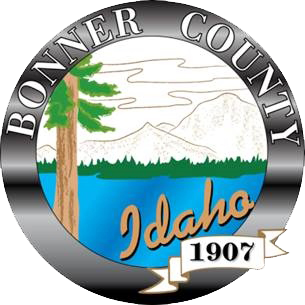 If you think you have been part of a jury scam, please contact the Bonner County Sheriff’s Office non-emergency dispatch number at 208-265- 5525 and call the Jury Office at 208-265- 1443 immediately. The District Court and Jury Office would like the public to know the only time jury issues are shared with law enforcement is when a potential juror is given an Order to Show Cause hearing date for not completing a jury questionnaire, failing to appear for a jury trial or failing to comply with jury service in some other manner. The Jury Office makes every attempt to contact a juror for up to several months before this action is taken. The Sheriff’s Office may also become involved if a potential juror has refused certified mailing and the address is confirmed. Their typical procedure is personal service though they may contact you by telephone if the address they have is incorrect. They would not ask you for personal information such as your social security number, banking or credit card numbers nor would they threaten you with arrest. The Sheriff would already have your date of birth on the court documents so you should not divulge that information either. The court clerks office is located in the courthouse. If you wish to pay fines, fees, citations, or have questions regarding court procedures, the office is located on the first floor.